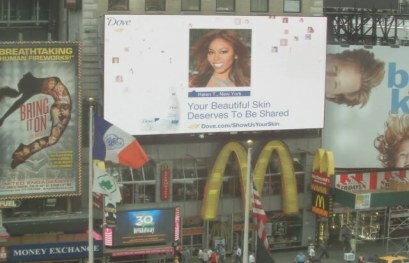 I’m on a billboard in Times Square for Dove! What a great way to start the week. I checked my email this morning, and saw this! I know because I’ve been in a few pageants that people naturally assume that I always thought of myself as being “beautiful”. I can now say confidently as a woman in my 30s, I finally know what that word means. It’s not just about physical beauty, but it’s also about celebrating your strength, triumphs and failures. It’s about being the best you regardless of what anyone else thinks. Next story Crown with a purpose.